Travel is an intimate and personal experience; more often than not, our opinions of a particular destination have very little to do with the actual city and everything to do with ourselves and our own backgrounds, personalities, preferences, feelings, emotions and the chaos in our heads. Cinque Terre was the 16th stop on our trip across Europe. While Cinque Terre may technically be five cities – or rather, villages – you simply cannot visit one without venturing over to the others. 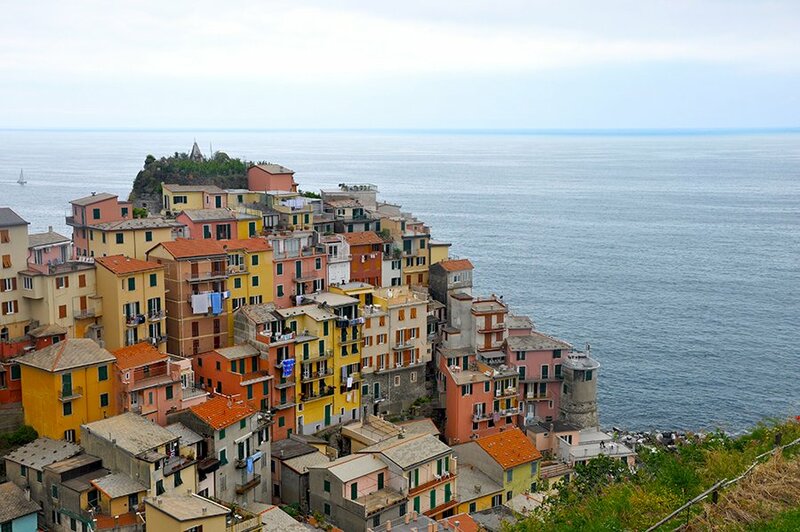 These five charming villages (Cinque Terre literally means five villages) and their romantic, panoramic cliffside immediately seduce you into surrendering to one of Italy’s most iconic regions. Before you know it, you’re contemplating selling your left kidney and purchasing a villa with a terrace on the edge of the rugged cliffs (true story!). This blissful paradise, with its alluring, azure Mediterranean waters and slow-paced lifestyle is as close to heaven-on-earth as it gets in this crazy, wild world. Amalfi was the 17th stop on our trip across Europe. Much like Cinque Terre, the Amalfi Coast features some of the most jaw-dropping panoramas of seaside homes, villas and restaurants built into the vertical cliffs. 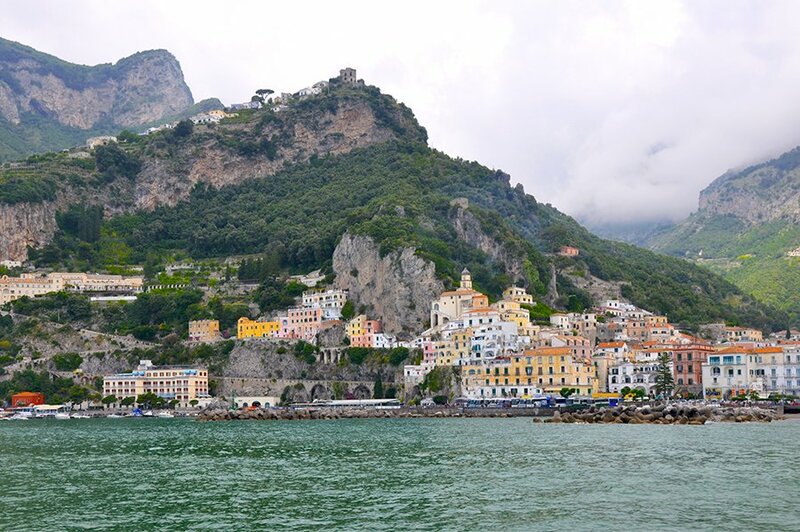 Situation on the Tyrrhenian Sea, Amalfi is not a hidden gem by any means; in fact, it’s one of the most popular holiday destinations in all of Europe – but regardless, it’s worthy of a visit. Have you ever seen the iconic photos of the exquisite and blood-curdling roads along the Italian coast? Chances are, it was taken along the Amalfi Coast. Budapest was the third stop on our trip across Europe. When conversation turns to Budapest, I usually find that a vast majority of people don’t know to which country I’m referring. 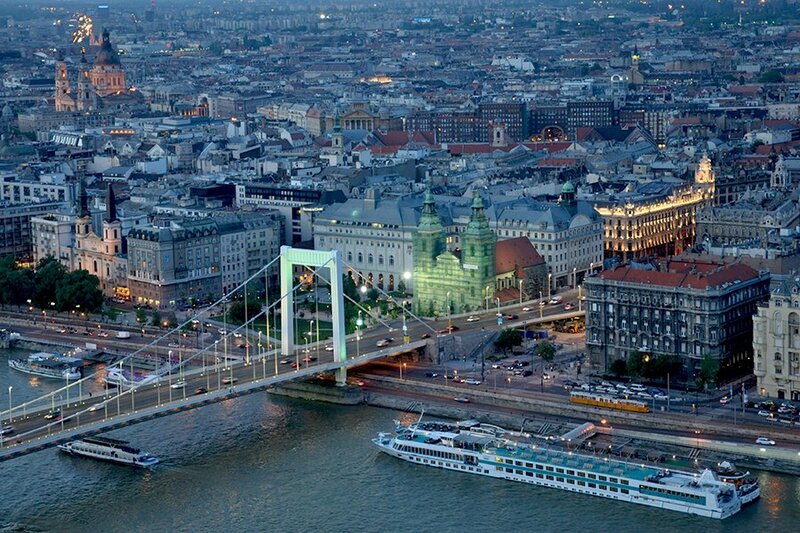 In the off-chance that someone happens to know that Budapest is the capital of Hungary, they are still left wondering why anyone would ever want to go there. So here are a few reasons: rich history, a marvelous mix of architecture, affordability, delicious cuisine, friendly locals, and some of the most breath-taking views in all of Europe. Dubrovnik was the 21st stop on our trip across Europe. Dubrovnik is an authentic and charming seaside town that is a hop, skip and jump away from Italy, yet it’s far less expensive than the famous Italian or French Riviera but equally, if not more, beautiful. Dubrovnik has a distinct old-world glamour about it that permeates its every corner. 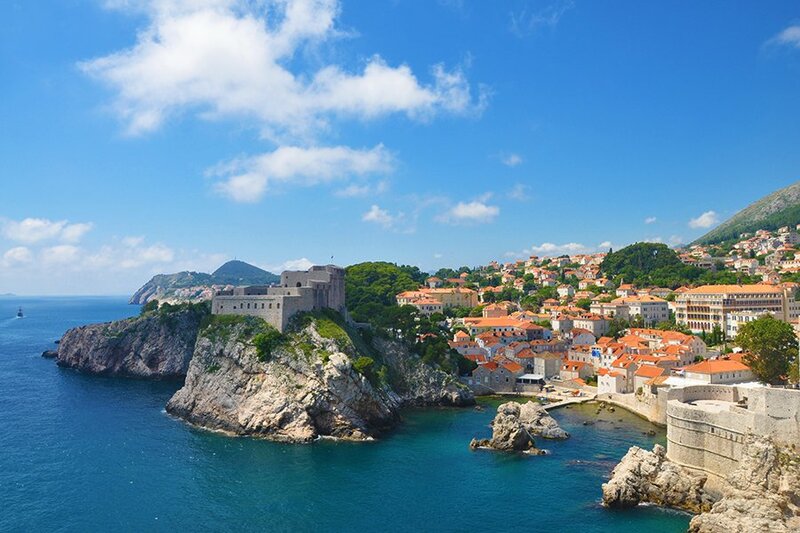 Whether enjoying gelato in the main square, taking a hike along the Old Town wall, exploring the black mountains of nearby Montenegro or taking a dip in the Adriatic Sea, Dubrovnik is sure to please. Lisbon was the 11th stop on our trip across Europe. Situated directly on the ocean, Lisbon is Western Europe’s most underrated capital city. 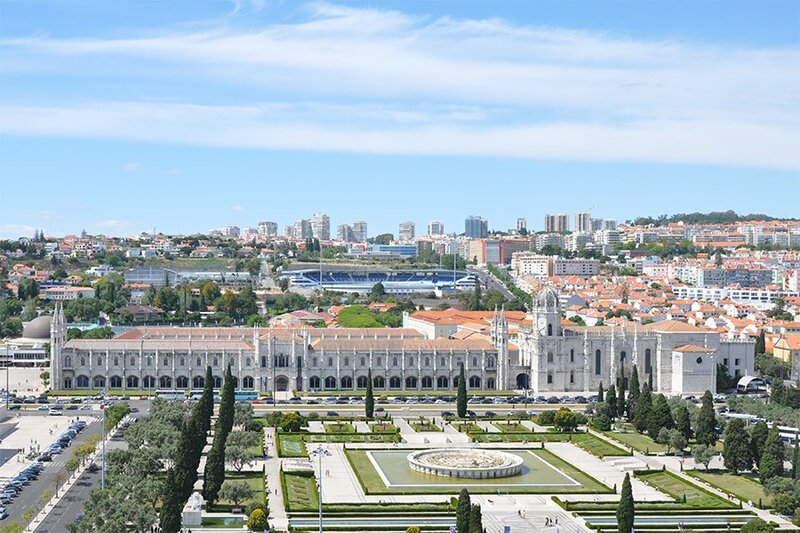 The weather, the food, the magnificent views, the charming mixture of crumbling buildings and stately castles – all these things and more are what make Lisbon worth the visit. What’s more, just outside the city you’ve got Cascais (a charming coastal town that used to be the Royal family’s vacation spot), Cabo da Roca (Europe’s most westernmost point, jutting out into the ocean), and Sintra (a picturesque town of pastel-colored castles situated on a mountaintop) – all worthy of a day trip. The Swiss Alps were the fifth stop on our trip across Europe. Nothing makes you feel so minuscule and insignificant like floating nearly 6,000 feet above the rest of the world. The trek itself – first my car, then cable car, then by train) – is an adventure in and of itself. 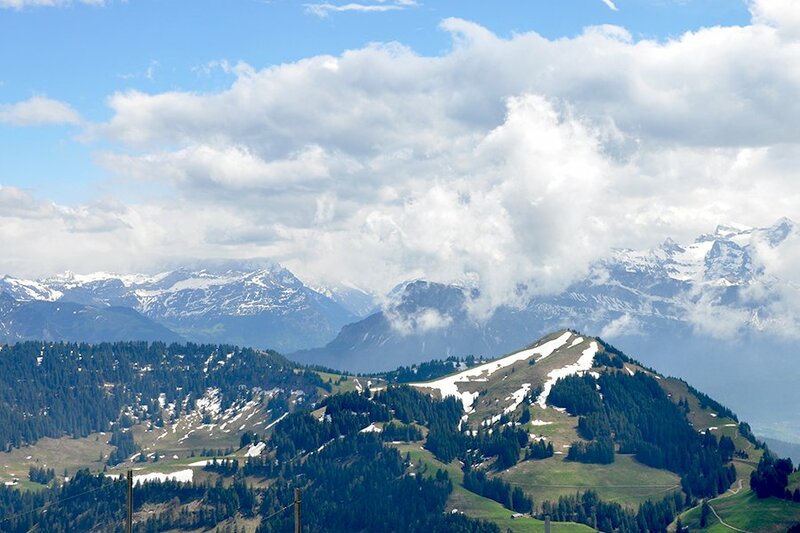 The majestic beauty of snow-covered peaks with minuscule Swiss villages dotting the landscape is a sight of a lifetime, so if you’re considering seeing Switzerland, I highly, highly recommend a vantage point that only the Alps can offer. Porto was the 10th stop on our trip across Europe. The city’s crumbling historical center, declared a UNESCO World Heritage site in 1996, is full of cobblestone streets, decaying yet still occupied buildings and the most charming of European balconies adorned with flowerpots and fresh laundry. 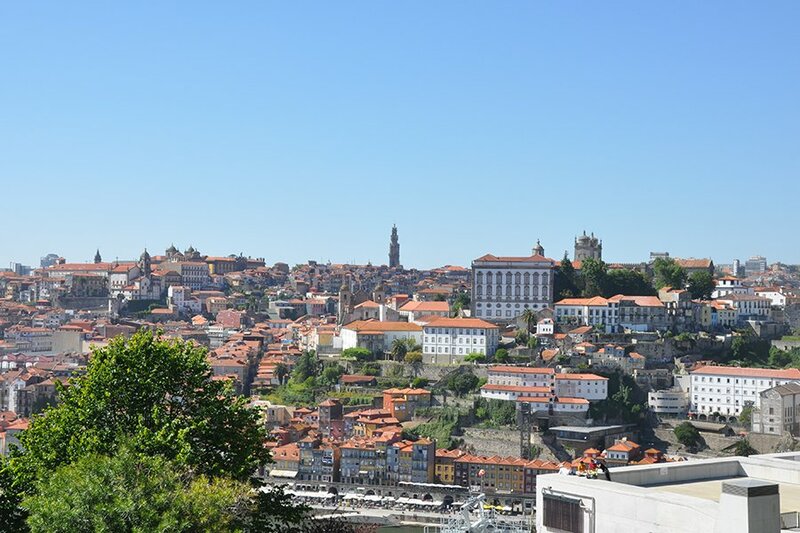 My personal favorite way to spend a day in what is often called the Capital of the North, however, is lounging atop the two-level Ponte de Dom Luis, which stretches across the Duoro River. If waterside cafes and medieval alleyways aren’t enough to convince you, the entire city is so authentically Portuguese, you can’t help but feel a part of some sort of old-world fairytale. Speaking of Venice, it also made the list. Venice was the 20th stop on our trip across Europe. Although not necessarily an “underrated” city, per se, it’s definitely one that gets a lot of negative press and yet is one of the loveliest destinations in Europe. 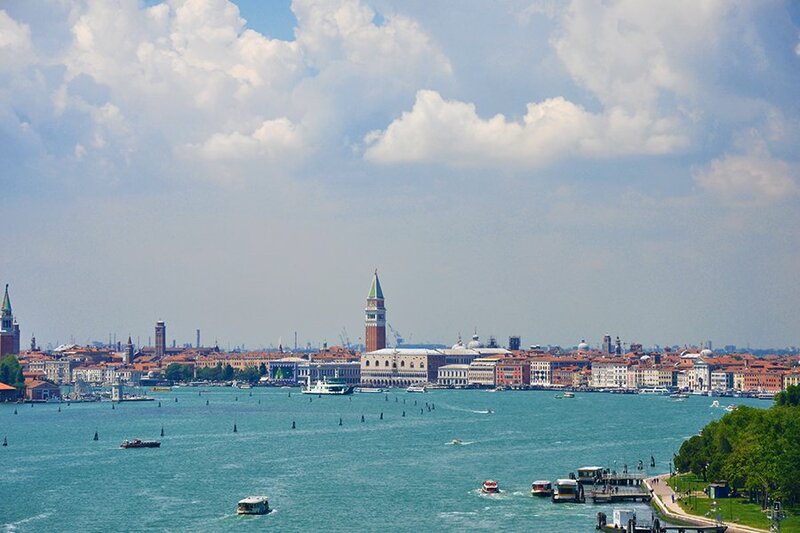 The city was build in the 5th century on 118 small islands, and it seems to simply float on the waters of the lagoon. One of my favorite experiences was wandering through parts of town typical tourists simply skip over. Wherever I travel, I am always curious to see locals living everyday life. The freshly washed laundry swaying in the breeze, smells of Italian cuisine wafting out of open windows, Italian bambini playing in the alleys – all these seemingly cliche details evoke the old-world charm of another world, one that is undisturbed by modern conveniences. Finally, we have reached my favorite place in Europe. Paris was the 26th stop on our trip across Europe. Some may argue that Paris is, in fact, overrated – but not I. You could visit Paris 100 times and experience it completely anew each visit. Its multi-faceted charm can only be discovered layer by layer – and only by those who are genuinely curious. I will always have a special place for Paris in my heart, despite its many downfalls and unpleasantries. And if you feel like you’ve “seen it all,” well, there’s enough charm right outside the city for a lifetime worth of day trips. Well, what do you think? Do you agree or disagree? Did any of your favorites make the list? Are there other European cities you’d add? Posted in TRAVEL and tagged CROATIA, FRANCE, HUNGARY, ITALY, PORTUGAL, SWEDEN, SWITZERLAND. Paris is literally my dream vacation destination! Hopefully one day! Such a fun post! There’s nothing worse than getting really excited about somewhere and then feeling like it didn’t meet your expectations. So fun! I haven’t heard of many of these cities! I can’t wait to add them to my travel list. I’ve always wanted to go to Lisbon! Yes totally agree on Croatia, Paris & Venice all three cities that I loved exploring! I really want to check out some of the others that made your list. What a great post!! It gives me the travel bug. I’ve ben wanting to go to Stockholm for awhile now. My VP at work was born and raised there and recently went back to visit. It just sounds like such a beautiful,relaxing city to visit! I cannot agree more with all your Italy picks as well. Cinque Terre, Italy is on my list to visit. I have been to Rome and then Calabria because that was were my boyfriend’s father was born and raised. Italy has so many unique, beautiful parts. Ah!! So fun! I want to visit so many of these! Especially Paris! 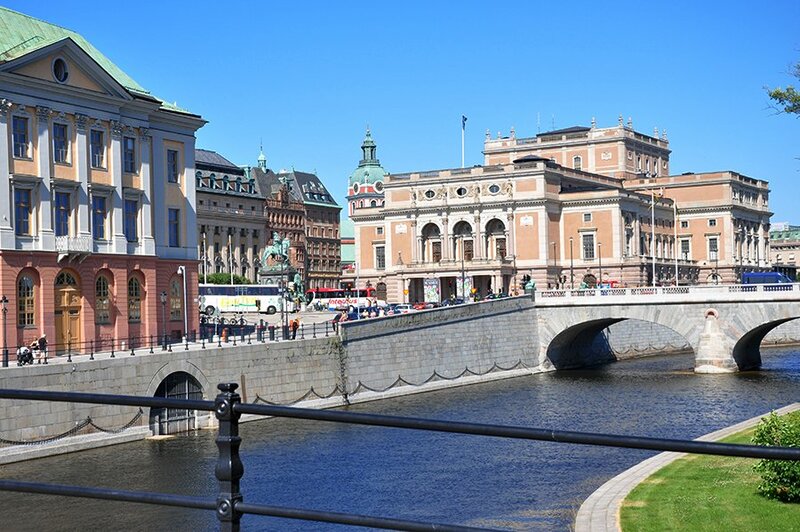 Amazing list– I’ve always wanted to go to Sweden since that’s where my family is from. All of these places are on my bucket list! Greece is my next stop but one of these places is next! I LOVED Italy when I visited so I would love to go back and visit some of the smaller cities. I am also dying to go to Paris, it is at the very top of my bucket list. 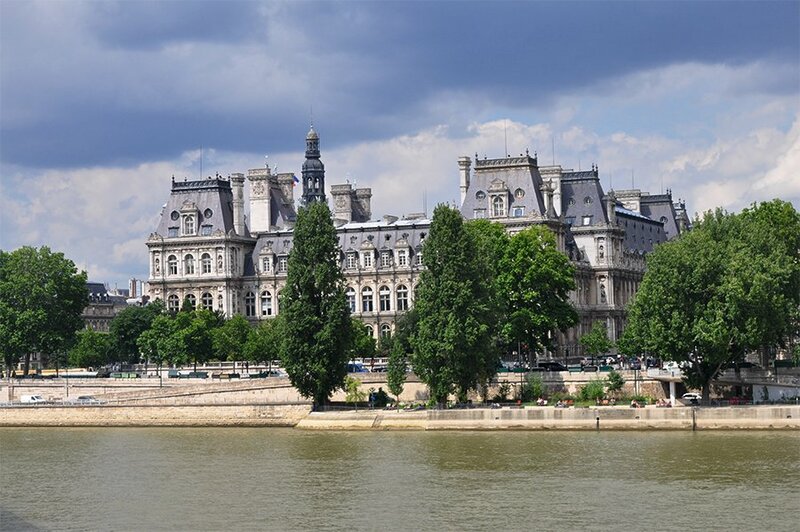 None of these cities are hidden European treasures, including Paris. The purpose behind “Go Here, Not There” wasn’t to unveil unknown cities but to share which destinations deserve more attention than others. I would love to hear which cities you thought were overrated!